The Korean giant is taking leads beyond its dominance in market share and drawing stronger brand loyalty across the spectrum, beating Apple at its own game. For the first time, Samsung grabbed the top spot in Smartphones, displacing Apple’s longstanding hold on that position. 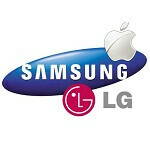 Apple’s brand loyalty has long been touted as a strength, even in the face of Samsung’s dominant market position. Behind Apple was LG in third place. Nokia and Sony tied for fourth. How big is the gap between first and second place in smartphones? It is significant according to Robert Passikoff, president of Brand Keys, the company behind the survey. The survey itself is fairly substantial, sampling 39,000 people. One would think that Apple’s standing was safe when it came to laptop computers, but that is not the case. Samsung now shares the number one spot with Cupertino. The rest of the field was closely tied together by Asus, Sony and Toshiba (tie), Acer and HP (tie), Lenovo and Vizio (tie) and Dell at the bottom of the list. Also gleaned from the survey was customer loyalty in the tablet category where Amazon’s Kindle leads the pack by a comfortable margin, and again, Samsung tied Apple for second place. Apple’s iPad fared no better in the e-reader category where the Kindle reigns supreme as well, followed by Barnes & Noble’s Nook. The trends are revealing the differences in how in-demand innovation is from consumers when it comes to electronic devices in all categories. I'm a bit stunned by #3 LG for smartphones. I've never had a customer come in looking for an LG Android. Flip phone, yes; smartphone, no. I have to agrees,although we rarely stock an lg phone I've never had a customer come in and ask if we were getting a particular new lg handset just announced. I applaud Samsung they have proven they are the best period. Apple created a great type of customers who always wanna buy the new Apple products as quick as they can (often so-called iSh**p). They are a part of loyal customers and very important, However, loyal customers are beyond that. iSheep can keep buying boring iPhone, but general loyal customers can quit and move to the more innovative product where they can find the satisfaction. Galaxy S2, Note, S3 and Note 2 did this job very well. how much did samsung pay for this survey? Samsung dominating everything one by one. Way 2 go samsung. Samsung has many, many choices tho. Samsung smartphones might be dominated by 2-3 phones. Samsung is turning into a dominate force in the mobile field. Maybe they already are a dominate force.... Motorola over HTC and Blackberry....nice. Cmon Moto, I stick with you thru thick n thin. Make the Motorola X a phone I wanna get at retail...Nice to see they have a decent following. Especially with all the HTC phones out and recent HTC phones released. Just have to wait until Google I/O to see if it's worth it. Samsung will always be the king. I guess it pays to be sued by Apple. Cos im sure people are going "if Apple is suing Samsung, they must be afraid of something". So iGuess there is no such thing as bad publicity. But i gatta give it to Samsung, they listen to their customers and they always bring thier A game, lets all be honest here, touchwiz is feature-packed than stock android. Because wht differentiate samsung from other manufacturers are features they fones carry. So lets give credit to Touchwiz. Just saying. This is why Samsung is the only Android OEM that is turning a real profit. This is also why Samsung is the only Android OEM right now that is both widely adopted and also not in terrible financial trouble. HTC and LG are hanging on by the skins of their teeth, BlackBerry will only survive if BB10 continues to do better than WP7 and WP8, and between Motorola, Sony, and Nokia there can only be two survivors out of these three in the end... chances are Motorola will go, as they are the worst off, but if BlackBerry really takes off, then Nokia could be in serious jeopardy, too. If LG survives, then HTC will not be able to hang on... otherwise, LG will plummet to their doom while HTC claws their way back up the edge of the slippery slope. Apple and Samsung are the only ones who are secure right now. You can definately tell that by all the samsung crazies around here.